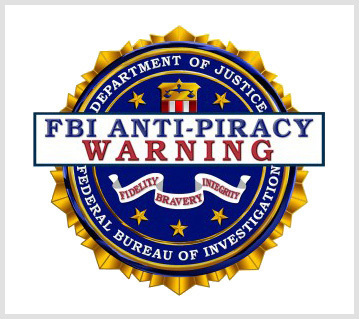 Oh sure, serial pirates lie and say “it’s honorable” to steal a copyrighted eBook or CD that’s not otherwise free and upload it to their torrent site so millions of their cheapskate followers can illegally download it for nothing and they themselves can profit from the traffic. Besides “everybody else is doing it” so why shouldn’t you, right? WELL, LET’S PUT STEALING SOMEONE’S LIVELIHOOD INTO CONTEXT THEN: Say thousands of people start coming to your home every month when you’re not there and each one of these uninvited clowns takes just a couple dollars from you or something worth only a few bucks (like the food in your cupboards and refrigerator). It’s petty theft – nearly impossible to prosecute, especially since you don’t have receipts for everything they took -- but with so many jerks pilfering from you over and over and over again, it’s really starting to add up. So you keep moving away, hoping these plunderers can’t find your newest address. And yet they always do, without fail, and the thieving continues without interruption, month after month, year after year … until you’ve got nothing left to take and your penniless. FOOD FOR THOUGHT WHILE YOU’RE STARVING DEATH: Everything in the real world or on the Web is NOT free and shouldn’t be either, particularly if it requires years and talent to produce. Do YOU labor all week or years for zippo? Does Jeff Bezos give away all his Kindle eReaders and other Amazon merchandise? Did Walmart donate the food and beverages on your dinner table tonight? Is the house or apartment you live in free-of-charge including your utility bills? Are the clothes on your back compliments of Macy’s or Bloomingdales? ARE YOU A DECENT HUMAN BEING OR CRIMINALLY BENT? A QUICK INTEGRITY TEST: You're cruising down the highway and spot an unattended roadside stand selling “fresh organic berries” with an ‘honor box’ method of payment. d. Pull out your SmartPhone and go online to see if maybe you can download the farmer’s fresh organic berries for free someplace, before deciding which of the above options to select. YOU DO GET WHAT YOU PAY FOR, EVERY SINGLE TIME: A few years ago the eBook market was suddenly glutted and gutted with freebies from self-publishers who’d been falsely guaranteed that not charging for their content would bring them fortune and fame overnight. For roughly 99.999999 percent this never happened, of course, but for online retailers like Amazon who also manufactured eReaders, the strategy of having gazillions of “free eBooks for instant download” did, coincidentally, send the sales of their not-so-cheap devices to the moon. Eventually, however, eReading customers worldwide came to realize that the vast majority of free eBooks being offered were poor quality, at best, and, at their worst, total shite. That set off the illegal download craze, as millions of these disappointed folks expecting to fill their costly eReader devices with tons of great freebies then felt *entitled* to just start grabbing talented people’s hard work and industry without giving back a cent. Today, this economically devastating trend of ‘everyone and their brother’ illicitly downloading all the topnotch digital books, songs and movies they “must really have” and yet “really don’t want to buy” continues unabated. But that doesn’t make it okay, does it? That doesn’t mean it’s legal. So, if you know someone who has ripped off an author or artist, especially one struggling to make ends meet because they’re being cheated of their royalties, urge the thief to “pay it forward” to them now by making a legitimate online purchase. And if you know someone who’s ripped me off too, then please direct them here. Thank you for dropping by this site and reading for free today.